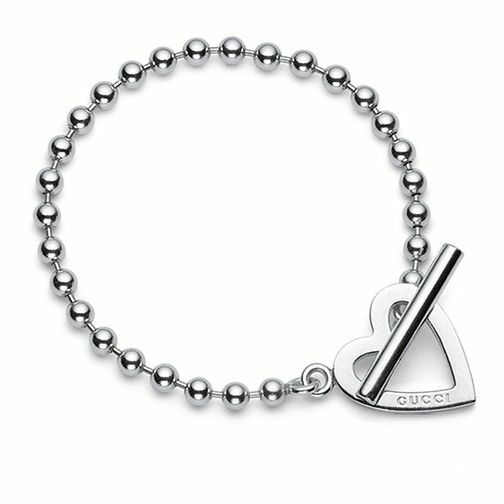 Gucci Toggle heart bracelet 18cm is rated 1.5 out of 5 by 2. Rated 2 out of 5 by Anonymous from looks nice Lovely looking bracelet, however after wearing it for the first time, i found it came undone by itself (luckily was at home). The bar is too small and easily slips through the heart. So i no longer wear it incase it happens again!